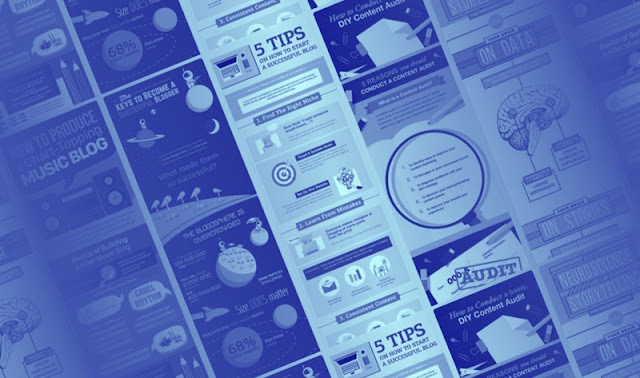 You've most likely heard the buzz around infographics last few years. Marketers and content creators have started to jump on board with this content strategy and the results speak for themselves. Infographics are a multipurpose tool that can help you build brand awareness, boost SEO rankings, and also act as widely sharable content. Due to the appealing nature of infographics, viewers are more likely to stop their endless newsfeed scrolling to check out an infographic than a standard article. With so much clickbait out there these days, viewers can be hesitant to click on an article. Even if they do click, they will most likely just skim the content without actually absorbing the information. Infographics are able to counteract this issue and give readers something to engage with. By taking complex ideas and simplifying them into eye-catching, informative infographics, your viewers are more likely to stay on the page and interact with your site. With endless possibilities for design and image usage, infographics can help you build a personality for your brand that is not possible with articles. They're also easily embedded and can be shared across multiple platforms. You have so much flexibility, infographic content can be reused, shared, and spliced into smaller sections for specific audiences. If you want to get started on creating an infographic check out the engaging infographic below that will get the ball rolling on your next infographic!